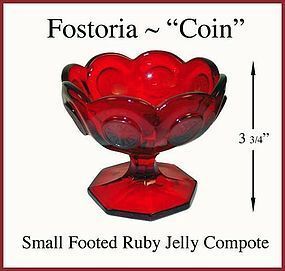 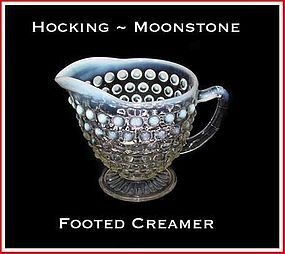 This Fostoria Coin Ruby small footed jelly compote is in excellent condition! 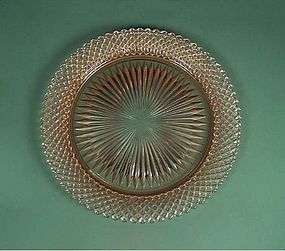 It has frosted coins and was made in 1967. 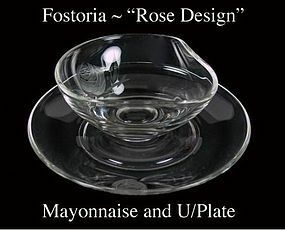 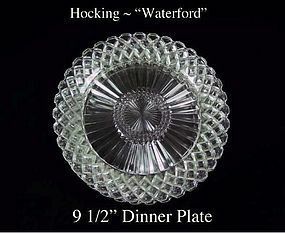 This Fostoria Rose cutting #827 mayo and underplate is in excellent condition! 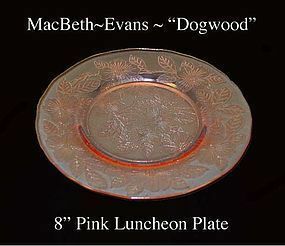 You are buying 3 Dogwood 8" luncheon plates in excellent condition. 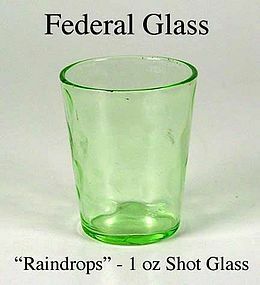 All for 1 money! 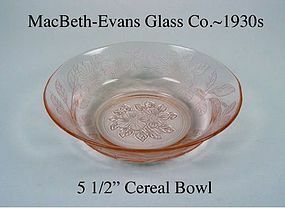 They were made by MacBeth - Evans in the 1930's. 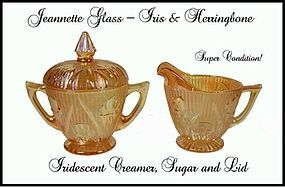 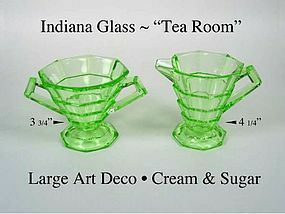 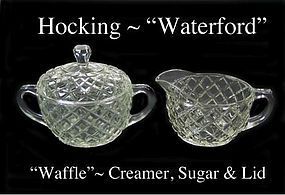 This carnival iridescent Iris and Herringbone 3pc set was made by the Jeannette Glass Co. in the 1950s. 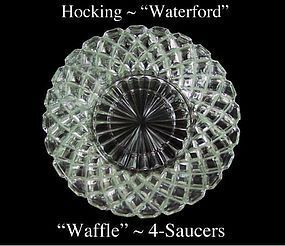 All 3 pieces are in excellent condition! 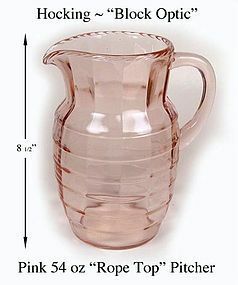 This pink Block Optic 54 ounce pitcher was made by Hocking Glass in the 1930s. 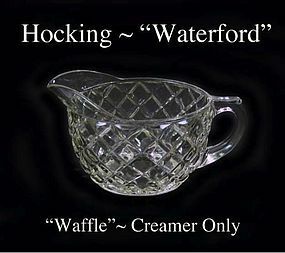 It has the harder to find "Rope Top" twist in the top edge, and is in excellent condition! 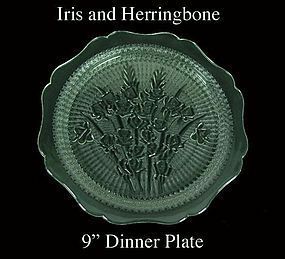 This 9 inch Iris and Herringbone dinner plate was made by The Jeannette Glass Co. in the 1930s. 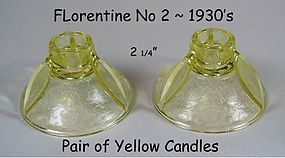 It is in excellent condition, and is guaranteed old and original. 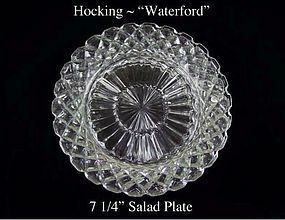 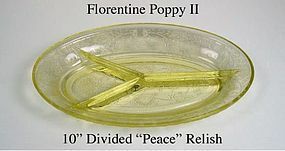 We have 2 plates available for $20.00 each.